Audio-Visual Entrainment uses flashes of lights and pulses of tones to gently and safely guide the brain into various brain wave patterns to boost your mood, help with sleep, sharpen your mind and increase your level of relaxation. It is an effective, inexpensive alternative therapy for many disorders such as Attention Deficit Disorder (ADD), Seasonal Affective Disorder (SAD), fibromyaligia and chronic pain. Our AVE devices are also used successfully to boost physical performance for athletes, academic performance for students and cognitive performance for seniors. 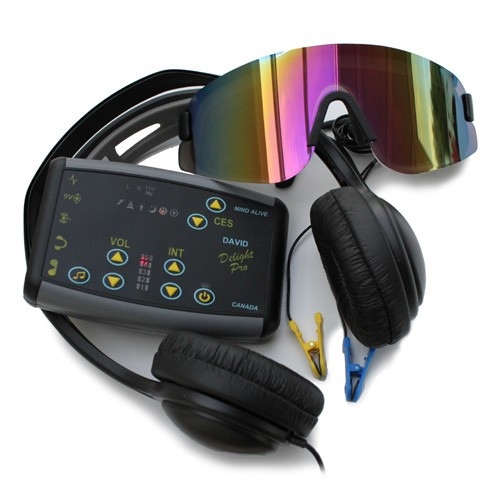 AVE is also commonly referred to as brainwave entrainment (BWE).